The Leukemia & Lymphoma Society (LLS) is dedicated to finding a cure for leukemia, lymphoma, Hodgkin’s disease and myeloma. They also work to provide support to patients and families. It was research that was funded in part by LLS that led to the development of Gleevec as a treatment for CML. Without this drug, our story would most likely have been very different. In thanks for all that they do to fight blood cancers and help families, I am donating a portion of the proceeds from every book sold to support LLS. If you would like to support the Leukemia & Lymphoma Society please click here. Be The Match is the foundation that supports the National Marrow Donor registry. They raise money to help patients who need bone marrow or umbilical cord blood transplants. They also raise awareness of the need for more people to register as donors. Every year, 10,000 patients with leukemia, lymphoma, sickle cell and other life-threatening diseases need a marrow transplant from an unrelated donor, but only half receive one. Be The Match is committed to making sure every patient who can be cured by transplant can find a suitable donor. Be The Match found Betsy her donor and saved her life. In appreciation for all they do to help patients around the country and around the world, I am donating a portion of the proceeds from every book sold to Be The Match. For more information or to support Be The Match please click here. 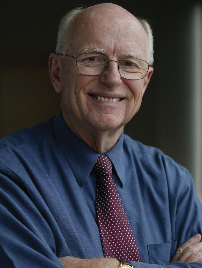 The University of Minnesota Masonic Cancer Center was founded in 1991 under the leadership of Dr. John Kersey, a pioneer in cancer research and treatment. When Betsy was diagnosed, we were fortunate that some of the best doctors in the world, and one of the top bone marrow transplant programs, were just a ten-minute drive from our home. The Masonic Cancer Center brings together some of the brightest scientific minds around one mission: enhancing the care of cancer patients. They do this through groundbreaking research focusing on the causes, prevention, detection and treatment of cancer. Betsy is one of many examples of how this mission is being fulfilled. It wasn’t long ago that curing blast crisis CML was a pipe dream. Luckily, a team of committed doctors and nurses at the University of Minnesota helped keep Betsy on a narrow path to survival and cure. In 1998, the National Cancer Institute (NCI) designated the Masonic Cancer Center, University of Minnesota a comprehensive cancer center. It is one of only 41 institutions in the United States to hold this designation, which is awarded only to institutions that make ongoing, significant advances in cancer research, treatment, and education. If you want to learn more about the Masonic Cancer Center, or would like to make a donation to support their important work, please click here. The first director of the Masonic Cancer Center also happened to be an old family friend. Dr. John Kersey went to medical school with my dad at the University of Minnesota. When Betsy was diagnosed, Dr. Kersey became one of our key advocates and supporters. He answered questions, checked in with Betsy’s doctor, and visited Betsy in the hospital. Dr. Kersey died unexpectedly in March 2012. Dr. Kersey dedicated his life to the development of new treatments for childhood cancer. In 1975, he led the team that completed the world’s first successful bone marrow transplant for malignant lymphoma. That patient is alive and well today. Betsy’s life is a testament to the legacy that Dr. Kersey left behind. You can read more about Dr. Kersey here. When Betsy was diagnosed, I had never heard of CaringBridge. It didn’t take long for this amazing organization to become an integral part of our journey. CaringBridge was founded in 1997 as a free service allowing people faced with serious health challenges to create a personalized web site. CaringBridge sites help keep friends and family informed, and they provide an online gathering place for people to offer support and encouragement. I created a CaringBridge page for Betsy a couple weeks after her diagnosis. It immediately became a source of great comfort and community for us. Betsy would read the comments posted on the site and I could see it lift her spirits and give her strength. The site also helped me connect to the vast network of people who were supporting us, making me feel less isolated in my role of caregiver. Over a period of about four years when I was actively posting on CaringBridge, the site received more than 62,000 visits. It was an overwhelming reminder that we were not facing the battle alone. To learn more about CaringBridge or to support them in their efforts to provide this free service to patients and families, please click here.